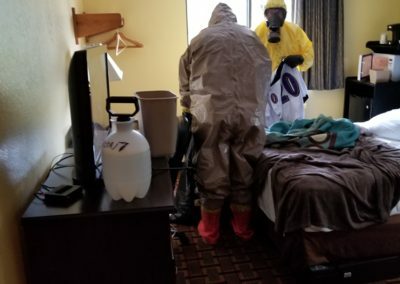 Crews arrived and prepared for decontamination of the room and work party. Once set, crews effected entry to the impacted room. 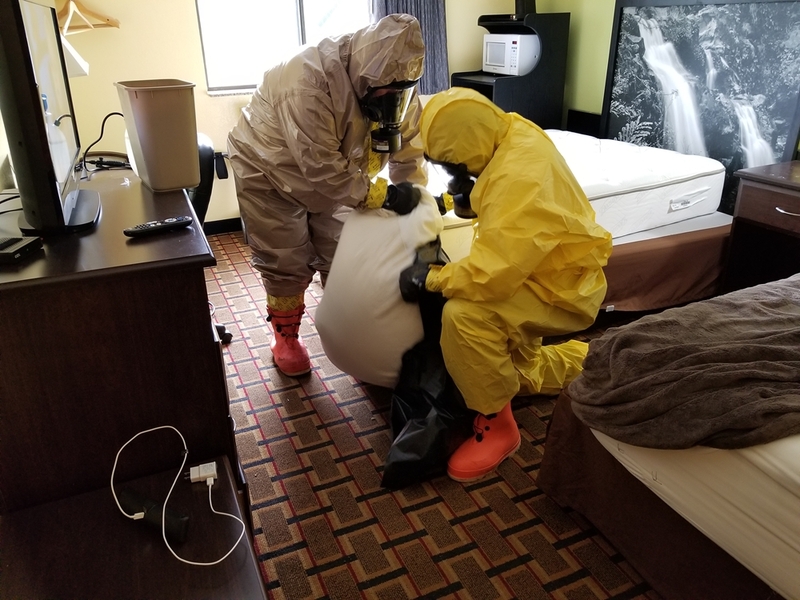 Crews reported that the room had not been cleaned out. There were personal effects left behind and the lights and air conditioning were still on. 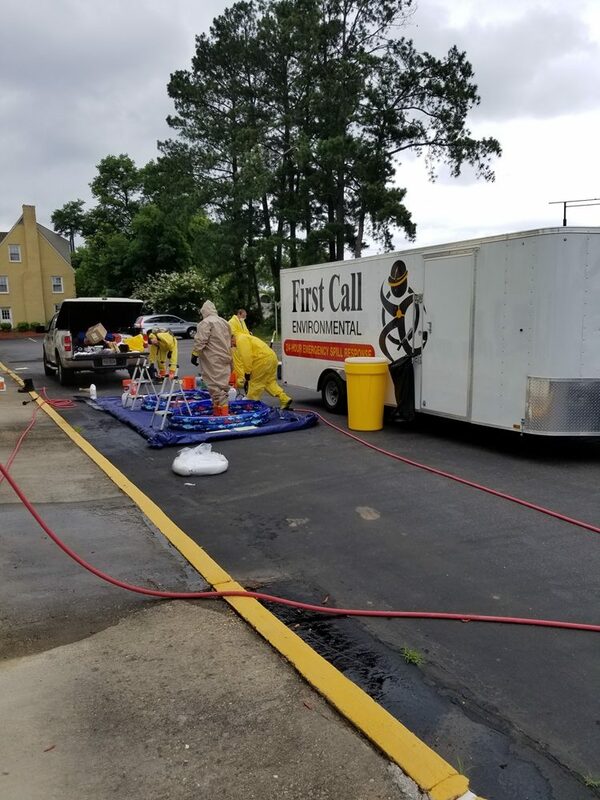 Crews then began to utilize Fentanyl test strips to determine the heaviest impacted areas. A nightstand was designated as highly contaminated and displayed signs of powder on the top. 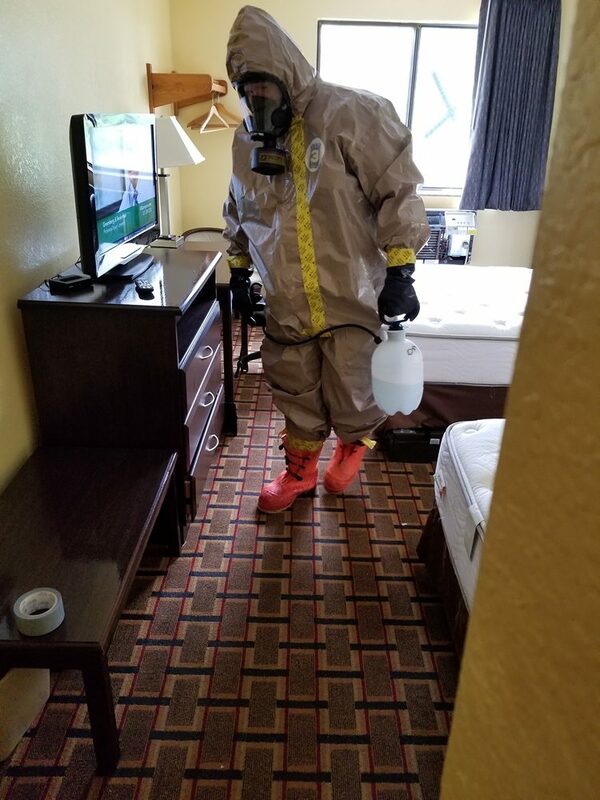 Once identified, a hot zone perimeter was established and the crew applied Decon 7 to the nightstand and surrounding area. A treatment of Decon 7 was then applied to all surfaces of the room. 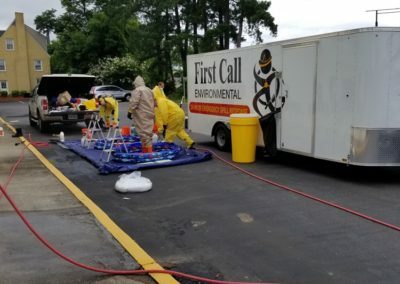 All non porous items were treated with Decon 7 and triple bagged for standard disposal. The crew exited through decon to allow for treatment time. 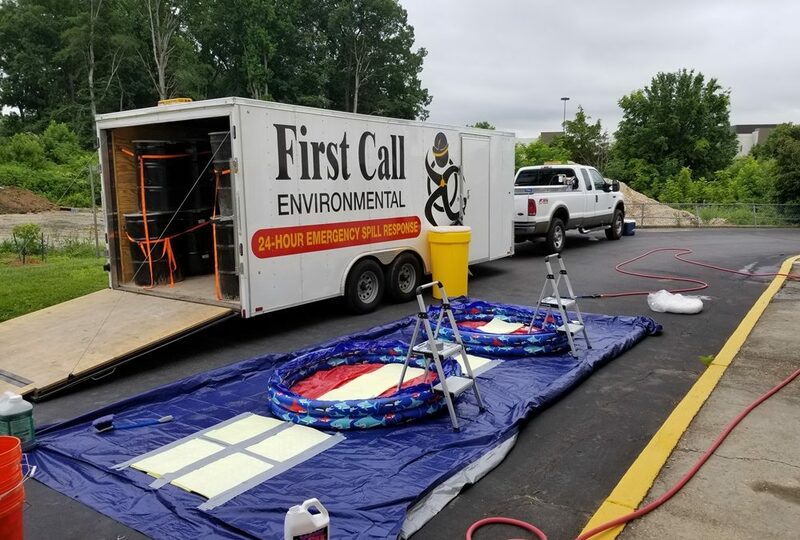 After a period of 30 minutes, the crew made entry and treated the entire room with a secondary solution containing Oxiclean. Every surface was treated before exiting the room for 15 minutes via decon. The crew returned once again to wet and dry wipe all surfaces. 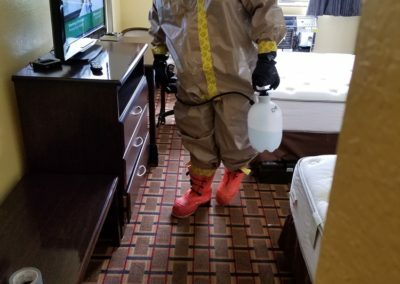 Once complete, all areas were tested again with Fentanyl test strips. All tests returned negative for Fentanyl. 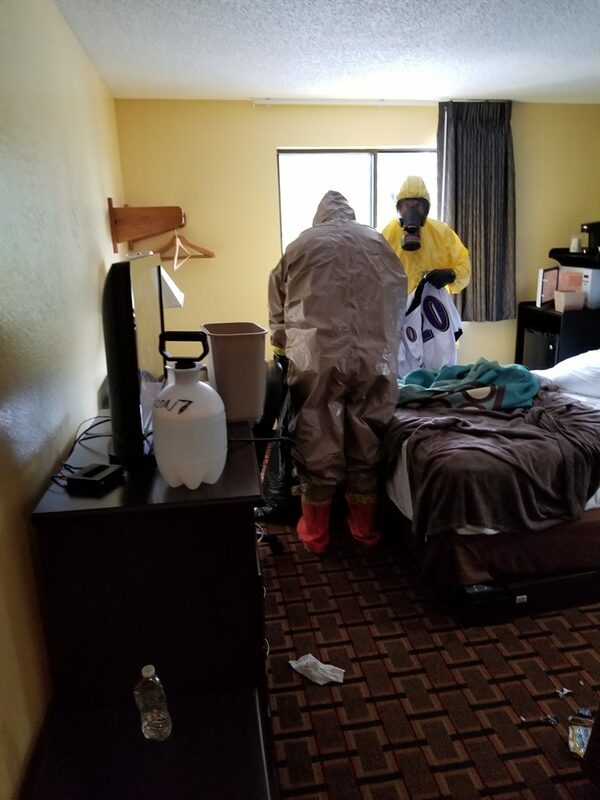 Crews then treated the room with an aerosol disinfectant. 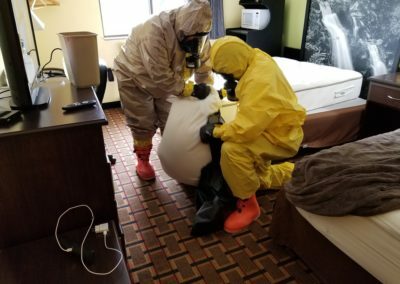 The manager was advised to allow the room to site for a minimum of 24 hours prior to having the room cleaned by a housekeeping crew. The mattress was to be disposed of in standard trash. First Call secured all waste and equipment from the site.